Your water meter can help you determine whether your water-using fixtures have inconspicuous leaks. It’s the best place to begin your search. Turn off all faucets and water-consuming appliances, including evaporative coolers and ice-makers in refrigerators. Check the needle’s position on the dial and note the time. Check the needle’s position again after 15-30 minutes. If the needle’s position has changed, you may have a leak. Some meters have a red or blue triangle dial on the face, which turns with low flow through the meter and makes it easier to detect when water is moving through the meter. How do you decide whether there is a leak somewhere inside the house, or between the water meter and the house? Turn off your house valve. 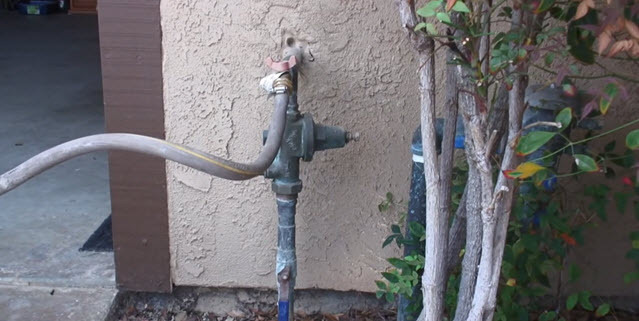 If the needle on the water meter’s dial continues to move, you may have a leak between your house and the water meter. If the needle has not moved, you may have a leak within your house. Consider contacting a plumber to check the problem. Even if your meter did not show any signs of leaks in your home, it’s still a good idea to periodically check for leaks. Start with your toilets and faucets. For helpful conservation tips, visit any of the water conservation pages from the Conservation menu above. If you frequently experience leaking faucets or constantly running toilets, a faulty water pressure regulator may be the cause. Even in new homes, pressure regulators wear out and can fail. The quality of your pressure regulator dictates the years of service to expect. Devices needed to regulate the pressure at a home or businesses are considered part of the private plumbing system and are the responsibility of the customer to install, adjust, operate and maintain. Pressure regulators may last as little as one year or twenty years or more. The pressure regulator is designed to reduce higher service pressures. Very low service pressures, however, may necessitate the installation of a private booster pump system, which is also the customer’s responsibility to install, adjust, operate and maintain. A. Customer Responsibility. 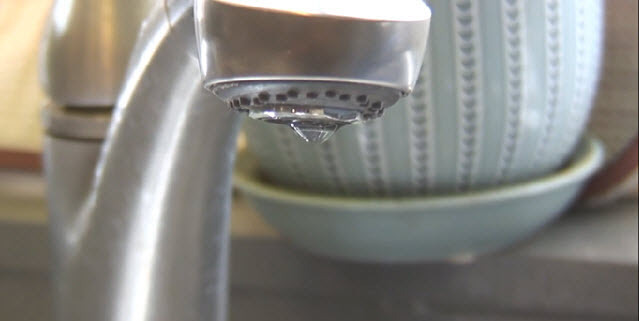 The District shall assume no responsibility for water pressure regulation within a customer’s service area. The customer shall be responsible for providing adequate safeguard measures for the customer’s water system wherever pressure regulation is necessary. B. Requirement for Installation in New Construction. Customers making application for water service for new construction for residential, commercial or industrial use shall be required to install an appropriate pressure regulation device for such service.